(11:59 p.m. Eastern Time) the following week to enter in on the fun. I made this card for one of my friends birthday. When it was done I liked it so much that after putting it in the mailbox I wanted to go back and take it out (lol). You know how it is. Anyway, before I made up my mind to walk back out to the mail box the carrier came and so that was the end of that, decision made. Comments are welcome. Enjoy and GOD Bless! LOL! 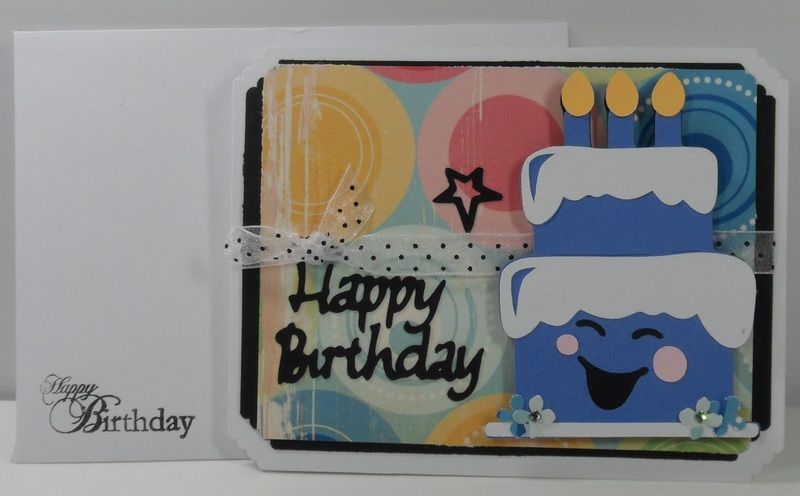 I think your card turned out fabulous... very cute! I am so excited for you on the DT. Congratulations. Can't wait to see what you come up with!!! 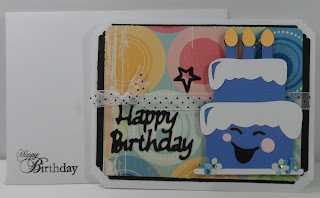 Such a cute card and I know that feeling of wanting to keep the cards! Congratulations on the DT!! That is a GREAT card! I love the colors and the cake is too cute! This is def. a favorite of mine! Great card! Funny Gloria... I dont even bother sending them... dont worry your friend will enjoy and admired the work you put into this one.. it so cute.. love those smily faces..
TFS.. and thanks for having me in this new adventure.. Very cute card it maybe gone but not forgotten! Congrats on being on the deisn team! Thea card is adorable! Such a cute card, I love it!